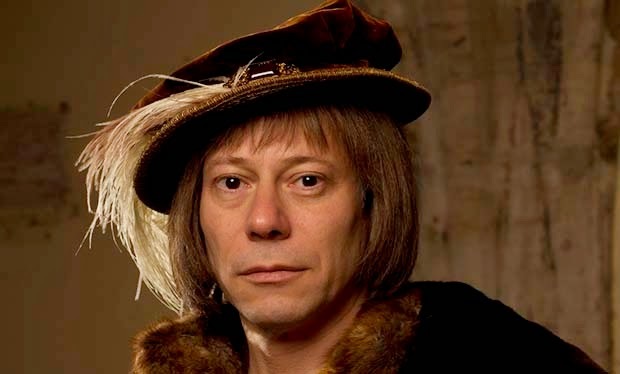 Wolf Hall Wednesday: Goodbye Anne, Hello Who? They say the wife is the last to know. I doubt that was the case with Anne Boleyn; she was such a plotter herself, it took so much work to get to that sweet Queen of England spot, and then not to bear a male child? She saw the king looking at Jane Seymour and she must have been hyper aware of the machinations of the men around her. Men like William Fitzwilliam who saw her in a harsh light anyway. "A queen should be mild and pitiful. She should move the king to mercy — not drive him on to harshness." "Sir Nicholas Carew comes to see him. The very fibres of his beard are bristling with conspiracy. He half expects the knight to wink as he sits down. There's no beating around the bush, there's a steady drum beat that will lead to her ousting, it seems inevitable. Cromwell will find a way to get rid of Anne, they'll send her to a convent or 'a country house' and Jane Seymour will take her place. "If it is old Seymour's daughter next, there will be some jealousy among those who think their own noble house should be preferred—but after all, the Seymours are an ancient family, and he won't have this trouble with her. I mean, men running after her like dogs after a — well ... You just look at her, Seymour's little girl, and you know that nobody's ever pulled her skirts up." Indeed! And Eustache Chapuys, the ambassador to the Holy Roman Empire, tells Cromwell he doesn't know what Henry sees in her. Now I'm feeling sorry for Kate Phillips, the actor playing Jane Seymour! "She is very plain. What does Henry see in her?" Is she? Is she stupid and compliant? And is she the virgin Cromwell and everyone thinks she is? I have one more week to finish my reading before the Wolf Hall debut here on April 5th. I'm pretty excited about it; I know that reading the books beforehand will only help bring clarity to the historical happenings we'll see on the show. And the sheer number of characters! It's a humungous cast list! In fact, next week for my last Wolf Hall post about the books — before I dig in to the actual television show — I'll try to do a cast of characters mini-bio guide. I do need to keep in mind this is historical fiction though, with conversations and characters painted by the skilled brush of an artist. Hilary Mantel has created a complex and compelling depiction of Thomas Cromwell, which many fault as being too kind to Cromwell who helped Henry rid himself of both a queen and a church; and too critical of Sir Thomas More who refused to accept Henry as head of the Church, and Anne as the Queen of England. All along Mantel has shown us that Cromwell is an advocate for an improved England, that his chief complaint about the Catholic Church is all the money in its' coffers that could go to the betterment of his country. The real Thomas Cromwell did in fact try to introduce a law in parliament that would cut down on poverty while improving the country. It's a very modern, democratic point of view. And of course, the powerful, i.e. rich, men in Parliament shut it down. For those of us in America, substitute the word Congress for Parliament and Mantel could be writing an OpEd in the New York Times. In March, Parliament knocks back his new poor law. It was too much for the Commons to digest, that right men might have some duty to the poor; that if you get fat, as gentlemen of England do, on the wool trade, you have some responsibility to the men turned off the land, the laborers without labour, the sowers without a field. England needs roads, forts, harbours, bridges. Men need work. It's a shame to see them begging their bread, when honest labour could keep the realm secure. Can we not put them together, the hands and the task? But Parliament cannot see how it is the state's job to create work. Are not these matters in God's hands, and is not poverty and dereliction part of his eternal order? To everything there is a season: a time to starve and a time to thieve. If rain falls for six months solid and rots the grain in the fields, there must be providence in it; for God knows his trade. It is an outrage to the rich and enterprising, to suggest that they should pay an income tax, only to put bread in the mouths of the work shy. And if Secretary Cromwell argues that famine provokes criminality: well, are there not hangmen enough? That sounds a little Dickensian — "What? Are there no workhouses?" but I appreciate the sentiment whether it came from a historical understanding of Thomas Cromwell's proclivities or Mantel's own wishes. 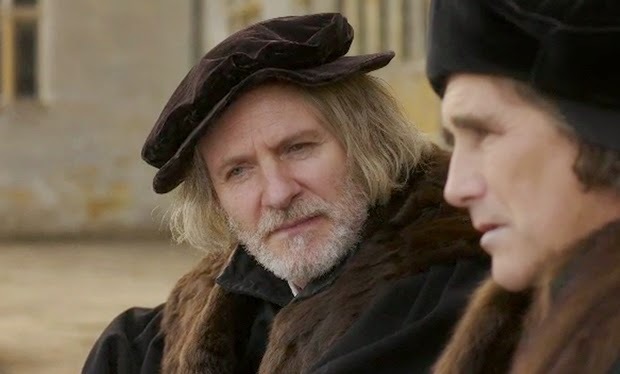 Either way, I'm a fan of the Wolf Hall version of Thomas Cromwell, a man who already knows that as much as Henry VIII counts on him, and favors him, should he, Cromwell, not do what the king commands, his day of judgement could come too.